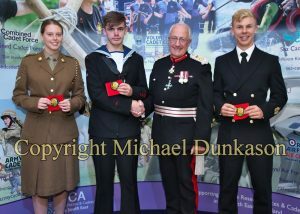 Each year, the Lord-Lieutenant appoints 3 to 4 young people to serve as his Lord-Lieutenant’s Cadets. 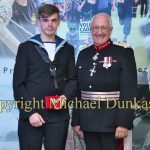 They are selected from the Sea Cadets, Army Cadets Force (ACF), the Air Training Corps (ATC) and the Combined Cadet Force (CCF). 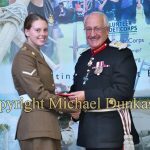 They assist the Lord-Lieutenant as required (often on parade for Royal visits) and act as ambassadors for their organisations. 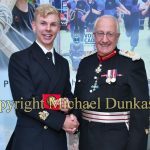 Lord-Lieutenant’s Cadets are appointed during the Lord-Lieutenant’s Awards evening held at the Royal Yacht Squadron every October.